The Beebe Church of Christ has been a part of our community for 80 years. Our mission is to "share life and share faith" with those inside and outside of our church family. This means that we strive to know Christ, to live by the Spirit, and to share God's love and life with all those around us. This also means that we strive to share "real life" with one another. That is to say, we strive to share the good and the bad, the joys and the sorrows. We hope that you will give us an opportunity to serve you. We would love to have you visit our services sometime, or if there is something we can pray about for you, or help you with, please let us know. Our 2019 year theme is "We Believe"
​Does it matter only that we believe, or does it also matter what we believe? Are all beliefs equal in weight, or are some more at the core than others? And how can we know which beliefs belong at the core? These are just a few of the questions we'll be studying together this year. Our church meets Sundays and Wednesdays for worship services and study, but we also stay active beyond these normal weekly meeting times. For example, we meet for men's breakfasts, Valentine's Day brunches, and men's and women's nights out. We go to conferences together, on retreats, and on camping trips. We have an annual Fall Fest, a Trunk-or-Treat, a trivia night, and we even play some softball. Just as important to us as our fellowship with each other is serving the community around us. For example, we have Vacation Bible School for our church and our community. We also partner with the Options Pregnancy Center, collect coats for the Coats for Kids drive in the winter, and participate in other community events like the Angel Tree. Matthew Love and his family came to the Beebe Church of Christ in 2010. Matthew worked as the youth minister for his first 5 years here. In 2015 he transitioned into the pulpit and has been preaching ever since. "This church has been a family to my family for nearly a decade now. I cannot say enough about how blessed we have been by being here. I hope that others can come, plug in, and experience the same love that we have for several years now." 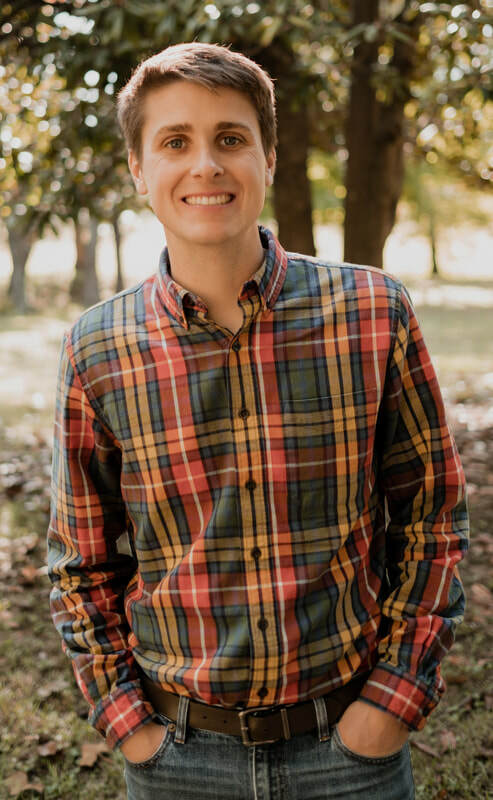 Logan Thompson has served as our youth minister since the fall of 2015. He and his wife Maryn are passionate about the spiritual development of young people, and they work diligently to lead the 7ups program. If you have any questions about the 7ups program or how you can get involved, please talk to Logan or Maryn!